I think you see a pattern here when I tell you that The Orang-utan Librarian, Joey @Thoughts and Afterthoughts and Cristina @My Tiny Obsessions all tagged me to do The Book Sacrifice Tag. It is further proof of how behind I am on my tags, so, thank you for your patience with me and continuing to tag me. I always get to it at some point and this is so short anyway, I have no idea why I didn’t do it earlier. I know that I am not entirely alone with this opinion, but I simply didn’t like the Miss Peregrine’s Peculiar Children series. While I think it was rather dull with characters I just couldn’t relate to, others seem to really love it. Well, the paperbacks are surprisingly heavy (seriously! What kind of paper did they print it on? ), so they will make good throwing material to defend myself from zombies. And here’s to hoping that the movie will be better. It still makes me sad to think of how disappointing Glass Sword was. I was quite smitten with Red Queen and then the pacing was just completely off in the sequel. I stand by the opinion that a map would have made things better … so, basically the same answer as Joey for this one. I haven’t read all that many classics and then I often don’t really like the reading experience 100% … this is super difficult. I could have done without Ask the Dust for sure though. I know this is the point where I should explain why I didn’t like it, but I honestly just blocked it out entirely. Right? The story had so much promise and then it was just dreadful and annoying. I will continue with the series, only because I need to know what happens with Maven. hahaha that doesn’t mean you won’t like it! Whoever created this tag was a comical genius! I hope that the next part in the Red Queen series is going to be better. Not giving up that easily. AND YOU READ JOHN FANTE? I can’t believe it haha. I needed to read it for my studies as well, three or four years ago I think, and, ugh, no. Not for me! 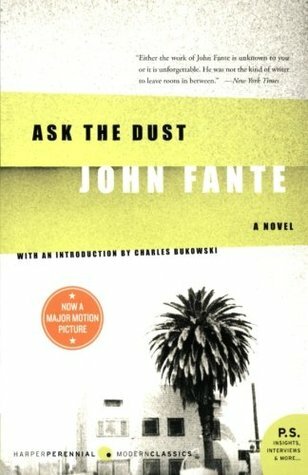 Then it’s even worse that I read John Fante on my own time. I had this weird phase where I researched my favourite actors preferences in books and this came up at some point. I thought that would make me understand people better, reading their favourite books. I tell you, that was a bad call. Read a lot of non-YA books that I didn’t like because of that. I like to try something out of my comfort zone every now and then, but it doesn’t have to be often. I like my genres too. LOL! Yeah, all in due time. Damn! Another tag I want to do but I don’t have time! 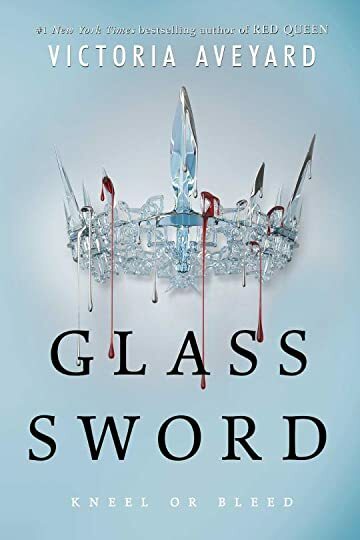 Glass Sword was a vast disappointment, not giving up on the series though. Here’s to hoping the next book will be better. Haha it’s a funny tag ! It is! The person who came up with this is a comic genius. That’s probably a smart move. I so hope the next book will be better again!! OMG, yes! The BookTube community is crazy about it and I don’t know why. I still can’t believe that I made it through the entire series. Definitely wouldn’t do that again. I’ve heard very mixed reviews on Miss Peregrine’s Home for Peculiar Children! I still kind of want to read it though as it seems like such a unique series… but I get the feeling I won’t enjoy it that much. Sure, you should always form your own opinion on books! Just make sure not to buy all books at once (like I often do), because in case you don’t like it, you won’t have spent too much money. I seriously still hope that the next sequel will be better than Glass Sword. That series has potential. I also just posted a Happiness Tag on my blog. I blog about all the things I am passionate about – my 60lbs weight loss journey, beauty, health, fitness and traveling. I would love for you to check out my blog and follow me if you are interested. I agree with you on Miss Peregrine and Her Fearful Symmetry. Glad to hear it. They were both such disappointments.